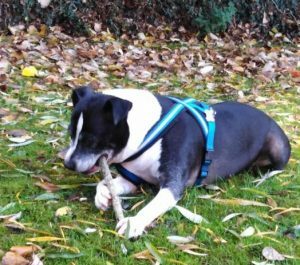 30/12/18 – Lovely Arthur has a new home to go to! 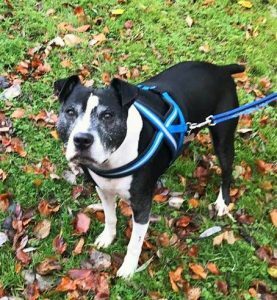 Arthur is an 11 year old happy Staffy boy in the care of Cleo’s Mutley Crew in Glasgow. He’s looking for a peaceful forever home as a doted on only pet. 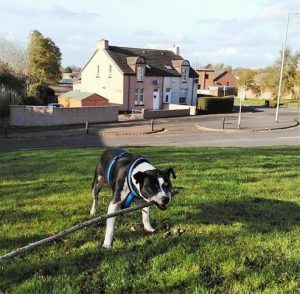 As you can see, Arthur likes to be busy with sticks and he’s entirely trustworthy out and about. He’s good on and off lead. He just ignores others dogs but finds it alarming if they jump up in his face. He just wants a quiet life! Arthur is well behaved in the house and can be left for a few hours. He’ll make a wonderfully attentive, calm and loving companion. He has mild epilepsy but this is managed with medication which the rescue are offering to continue paying for. They desperately want to see this lovely older boy out of kennels and in a happy home! Please say you saw Arthur on the Oldies Club website.